What is l-theanine you ask? This rare little amino acid packs some pretty amazing health benefits and is well-known for its ability to assist in increasing levels of dopamine and serotonin. What’s Your Natural Chill Pill? Aside from the wedge of double cream brie and krinkle cut potato chips I am finding comfort in at this very moment, a chill pill I’ve grown to swear by is L-Theanine. L-Theanine is a rare little amino acid that packs some pretty amazing health benefits. It is well-known for its ability to assist in increasing levels of dopamine and serotonin—neurotransmitters that control the brain’s reward and pleasure centers, reduce stress and stabilize mood. This year L-Theanine has helped me through some serious bouts of perimenopausal anxiety. I’ve used it in supplement form* and have been enjoying its stress-reducing benefits by drinking organically grown matcha tea. 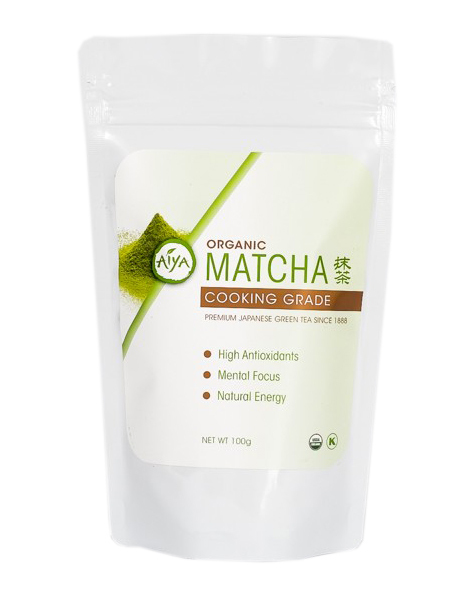 One teaspoon of 100% organic matcha tea powder (cooking grade is most affordable), like you find at Aiya Tea, contains over four times more L-Theanine than a bag of regular green tea. And because matcha is the whole leaf ground, drinkers receive the full nutrition benefits of the whole tea leaf which include high concentrations of antioxidants, amino acids, vitamins, minerals and fiber. Matcha has an exotic, mildly grassy taste that I think pairs beautifully with the coconut milk in this Decadent Matcha Green Smoothie. 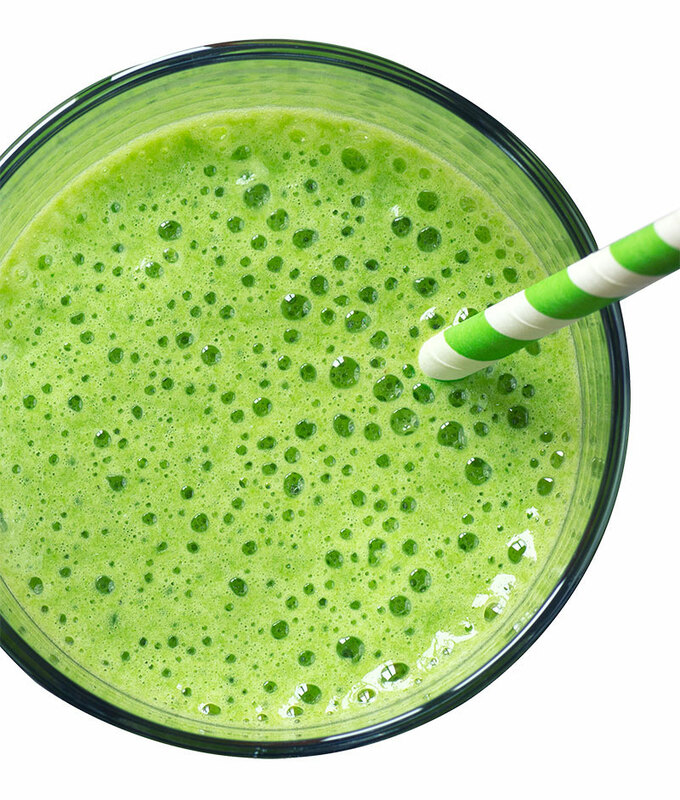 So if you’re looking for a natural chill pill that’s legal and offers an increased level of happiness, relaxation and alertness, give this smoothie a whirl. Then sit back, relax, sip and find that calm center once again. Add all ingredients, except for shredded coconut, to high-powered blender carafe. Blend on high until super smooth. For those that like to chew their smoothie and the texture of little bits of coconut, add shredded coconut, pulse a few times and enjoy! *Legal told me to tell you to always consult your doctor before adding or changing supplements in your diet. Thanks, Lexie! Nice post, great recipe and picture.